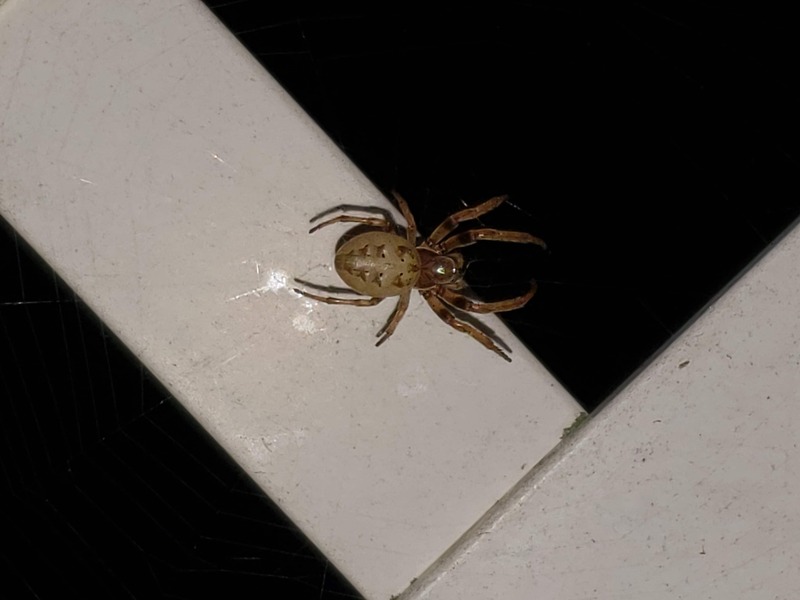 Lariniodes cornutus, a furrow orbweaver? I’m not sure. The markings and colors match but the lack of hairs and body posture seem odd to me.